Property developer Mirvac has announced the settlement of Stage 1 of its premium Newstead development, Unison, with residents moving in on-schedule. 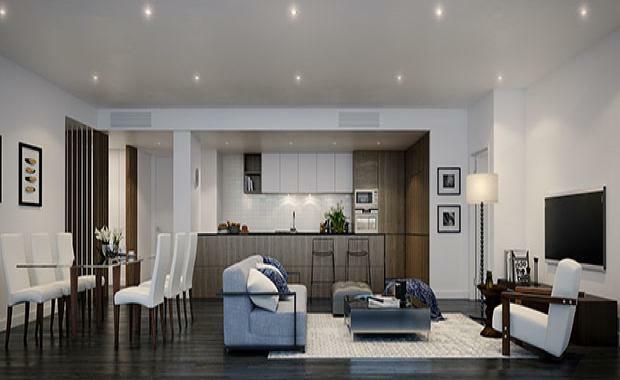 With design features including a 4,000 square metre podium area and generously sized apartments, Unison’s lifestyle offering has propelled the development to success among the owner-occupier market with many buyers set to call Newstead home. Proving that Mirvac’s commitment to functionality and smart living does make a difference for live-in buyers, more than 90 per cent of Stage 1 has now sold out with just a handful of premium two and three bedroom apartments remaining. Mirvac’s latest residents, owner occupiers Amy Carseldine and Matthew Chesnais, purchased off-the-plan from the United Kingdom, stating that liveability was a major factor when choosing between developers. “Unlike many apartments in sought-after locations, we could see that Unison offered a great mix of space, design and convenience,” Ms Carseldine said. “We were immediately drawn to the huge entertaining balcony and lifestyle amenity, which complemented the apartment’s central location just three kilometres from the CBD. Mirvac Head of Residential, John Carfi, said that Mirvac had specifically designed the apartments to feel welcoming amidst the array of developments sprouting up in Newstead. “We’re proud that Mirvac properties, like Unison, remain in-demand due to the point of difference that we offer potential buyers,” Mr Carfi said. “Unison’s large elevated garden podium space, housing a lap pool and plunge pool, outdoor kitchen, entertaining area and gym with river and city views, was just one of the features that has increased popularity among buyers. “Demand for spacious apartments with quality finishes is further reflected by the heightened interest we’ve seen in Unison since building completion, when buyers could walk into the apartments and experience this for themselves,” Mr Carfi said. A limited number of two and three bedroom apartments remain in Stage 1 with river and city views.